Are up facing unmanageable debt, receiving creditor calls and worrying about lawsuits and garnishments? If so, you should contact an experienced Muskogee Chapter 7 bankruptcy attorney, to learn about your options for relief from your debts. Every year, 12,000 or more Oklahomans petition for personal debt relief under Chapter 7 or Chapter 13 bankruptcy. A skilled Muskogee bankruptcy attorney can help you determine which of these two options — Chapter 7 bankruptcy or Chapter 13 bankruptcy — may be right for you. 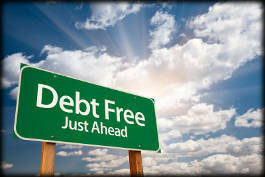 If you are struggling with unmanageable debts and looking for relief, learn about the options available to you now from the experienced Muskogee Chapter 7 bankruptcy attorneys at the Wirth Law Office. Call (918) 913-0725, or toll-free 1-(888) 447-7262 (Wirth Law) for a free consultation. Chapter 7 bankruptcy is the simplest, easiest, least expensive form of bankruptcy for Oklahomans. Often referred to as “debt liquidation,” Chapter 7 bankruptcy eliminates debt for those eligible for it, unlike Chapter 13, which restructures and sometimes reduces debt, but does not wipe it out. Since Congress revised bankruptcy law in 2005, means testing is used to determine whether an individual can use Chapter 7 bankruptcy. This means that bankruptcy courts take a detailed look at a bankruptcy petitioner’s income levels to determine his or her ability to repay current debts. This income test is based on Census results for median income levels in the state, and household size. As of May 2012, these levels for Oklahoma were $38,649 for an individual, $49,838 for a two-person household, $55,015 for a household of three people, and $62,301 for a four-person household. Even some persons with higher income may qualify to use Chapter 7, based on a more detailed examination of their income and expenses. The 2005 federal bankruptcy law also requires Chapter 7 petitioners to complete credit counseling within six months before filing for bankruptcy, and debtor education sessions are required before a discharge of debt in bankruptcy can be granted. There are several other limits on who can file a Chapter 7 bankruptcy petition. You are not eligible if you have had your debts discharged in a Chapter 7 bankruptcy within the last eight years, or had your debts restructured in a Chapter 13 bankruptcy within the last six years. While Oklahoma law allows homes and property to be exempt from liquidation up to certain dollar limits, some types of debt – such as divorce payments, overdue child support, student loans, and back taxes – aren’t eligible to be discharged in Chapter 7. If you have a mortgage or car loan, you will likely have to reaffirm those debts and keep making payments to keep those assets from being sold in the debt liquidation process. Don’t wait too long to learn about the options available to you. Get in touch right away with the Chapter 7 experts at the Wirth Law Office. For a no-cost, no-obligation consultation with a Muskogee Chapter 7 attorney, call (918) 913-0725 today, or call toll-free at 1-(888) 447-7262 (Wirth Law). You can also contact a Muskogee bankruptcy attorney using the box at the upper right-hand side of this page to send us a question or message.